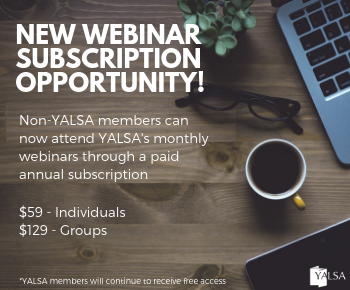 By Elise Martinez October 13, 2015 January 3, 2018 Community and Family Engagement, Learning Experiences, Partnerships, Teen Services, YALSA Info. In our last Teen Programming post, we outlined the importance of outreach and how to integrate it into your programming arsenal. Since “outreach” can translate to a wide range of ideas and actions, narrowing it down will help you take your next step towards effective methods of community engagement. This is where partnerships come in! This, however, opens a whole new can of worms. How does one establish positive community partnerships? How do you ensure that your goals aren’t lost in translation? How do I secure beneficial opportunities for teens through partnerships? When I first began working in my position, I was immediately overwhelmed by the need my community has for the library and its community organizations. During my first few months, I had grand plans to “do it all” and open up so many more opportunity and learning experiences for my community’s teens. What actually happened was that I got burned out and became discouraged. I realized very quickly that I was not going to be able to accomplish many of my goals alone. I needed support from others who were positioned in the community to help me achieve what needed to be done. So let’s break it down. 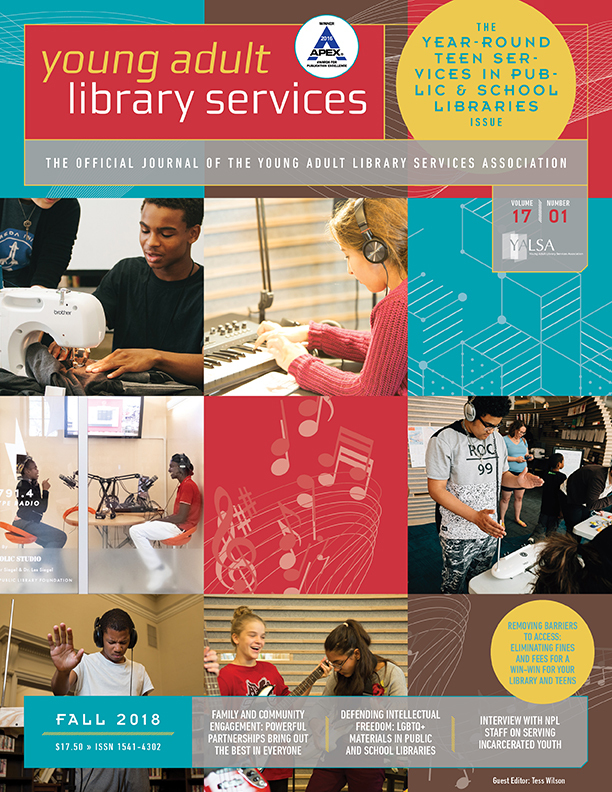 YALSA’s Future of Library Services report states that today’s teens need libraries to connect them to other community agencies, but how do you establish these connections? Network, network, network! This may sound simple, but community leaders need to know who you are. Start by attending committee and board meetings to get a sense of the issues and climate of your community. PTO (Parent Teacher Organization) meetings are another community body that is important to engage with as they are directly connected to the teens that your services will affect. Are there task forces or coalitions that are specifically directed at alleviating a specific need? Don’t be hesitant to insert yourself into the community conversation because you have your library’s resources to back you up. As a library representative in the community, you are an integral voice in the larger network of organizations that are committed to improving the lives of teens. Pinpoint individuals whose resources are in line with your goals and begin a dialogue with them. When starting this dialogue, how do you make sure that your goals don’t get lost in translation? Communication is so important when you are making efforts to partner with an outside agency. Before any communication begins, make sure that you have your goals and plans clearly defined. What is it that you want to accomplish? What role do you see this partnering organization offering? Additionally, offer your resources and begin a dialogue about how this partnership would benefit both organizations mutually. How do you make sure that your partnerships bring beneficial opportunities to teens? Last month we discussed ways to discover your community through outreach. During this discovery process, locate areas that your community needs more from your library. Is there a group that’s being under-served? Who can help you bridge that gap? A few months ago, I recognized a gap in the services that we were offering. At the time, we had reached out to just about every group of teens to make sure that our programs and services were reaching our diverse teens’ needs. However, we hadn’t reached out to teen survivors of domestic violence. I made a connection with the director of a local organization that acts as a transitional agency for teens and families who are leaving abusive situations. They offer temporary housing, counseling, and resources to help them take control of their futures and I wanted the library to be a part of this transition. My goal in partnering with this organization was to bring enriching programs to the teens at this facility, as they might not have access to these opportunities during this transitional period of their lives. Upon meeting with the director, my goals were clearly defined and I listened as she described how our organization could benefit these teens. We agreed upon a plan and programs were implemented at their location. We also offered books from our collection that we had discarded. We wanted to give the teens that she serves the opportunity to continue reading since many of them were temporarily not in school. This partnership was a simple way of offering integral library services to a new demographic while still connecting to the larger community. Ultimately, libraries must work with partners to alleviate their community’s needs. Start small, make connections, and be diligent about following through. 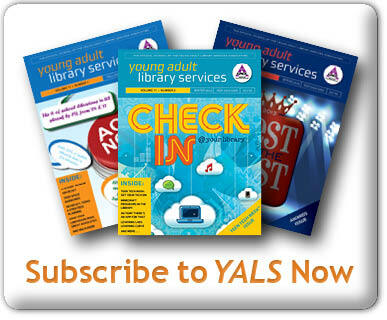 YALSA’s Futures Report pinpoints the shift that libraries are experiencing in the 21st century. 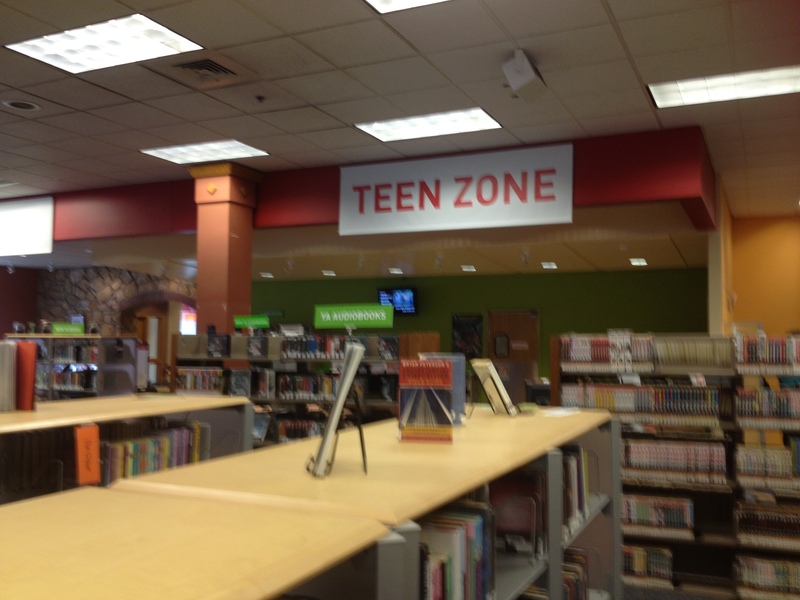 We have gone from quiet, solitary locations that provided relatively uniform services to spaces, both physical and virtual, that offer a broad range of resources that empower teens and grow their skills, interests, and goals. Partnerships are integral to meeting this standard because they allow us to continue to broaden the services we offer, bridge gaps in your community, and build a better future for teens. What are your partnership success stories? How do you bridge the gap in your community with partnerships? Outreach seems to be the library word-of-the-year as library programs, articles and even job duties add terms like outreach, marketing and community engagement. 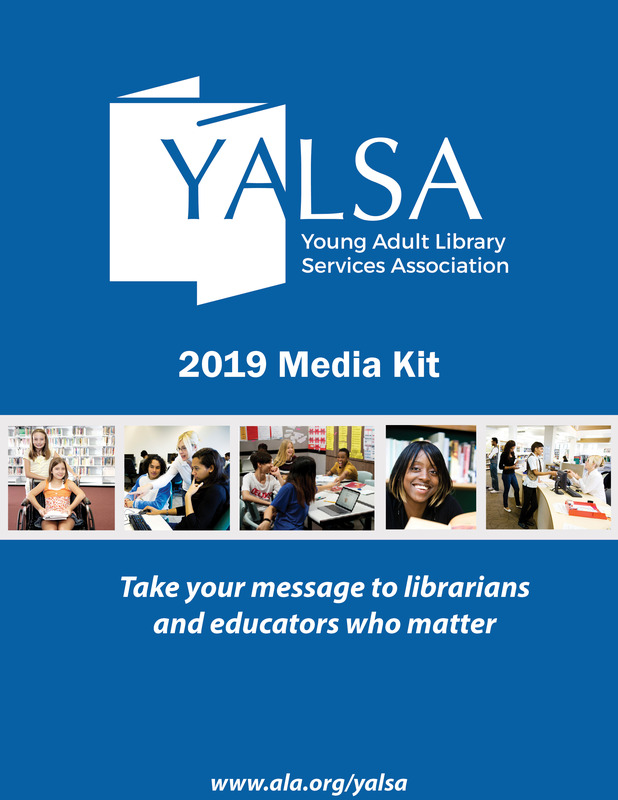 This past year fellow YALSA bloggers even developed two blog series breaking down outreach in teen services and highlighting how our colleagues are providing outreach services, but how do we connect outreach to teen programming? 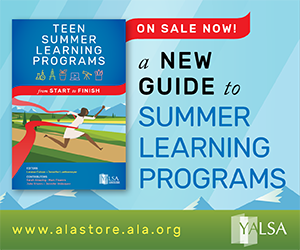 While reading YALSA’s Teen Programming Guidelines I noticed “outreach” wasn’t explicitly mentioned in the first two points about creating programming that reflects teens in your community and aligning these programs with the community’s and library’s priorities; but how do you do this? Through outreach! “Year-round use of a variety of tools, both digital and physical. Includes connecting with stakeholders throughout the community in order to develop shared goals and an implement a comprehensive plan of service that reaches all teens throughout the community. Library staff see a diverse crowd of students after classes end each school day. There are over-worked students looking for a place to unwind or cram in homework before after-school activities and jobs. There are also wandering bands of restless teens who don’t seem to have anything in particular to do but make all the noises that weren’t allowed during the day. We don’t want to contribute to students’ stress by piling on more work, but do want to provide them with a productive outlet for all that pent up energy. 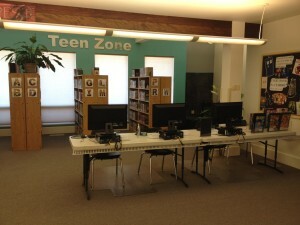 Belgrade Community Library Teen Zone in rural Montana. Working in a rural library often means a small space, a small budget, and a small staff. 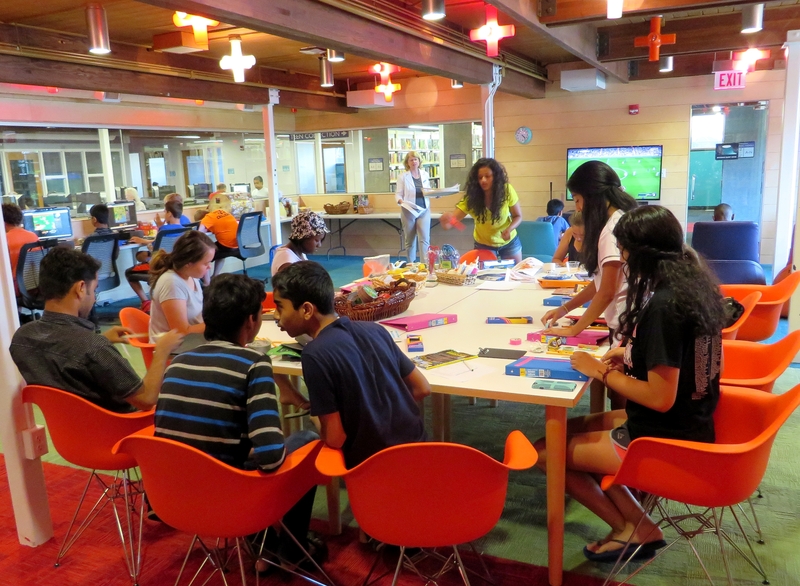 Despite all the hurdles to overcome, teen library services are very important in rural communities where other facilities for teens may not exist. In my community, the need for productive teen activities has popped up in both community and library needs assessments. With just over 10,000 people in our service area, the library is one of the few places in the community open to young adults outside of school hours. We have an important role to play in providing a safe and enriching space for teens, but this can seem like a daunting task when your official job description ranges from baby story time to technical services. It’s hard not to make it personal;’ that book looks good‘ or’ I really liked that‘ or’ I’ve always wanted to read that, but never did. There’s usually a reason you never read it. For me, that reason is usually that a better book came along. And if a better book came along for me, one probably is going to come along for a teen reader. This year, we’re running out of space. Every year, I do an inventory in the YA Room. I use that time for shelf reading and weeding, too. Usually it’s a light weeding; books that haven’t gone out in a while or books that need a little TLC. At first, I was operating on ‘ a five-year shelf life, but after talking with some other YA Librarians on twitter, I realized I needed to be more ruthless. If a book hadn’t circulated in 3 years, there’s a reason. I had to find out why. * The cover is hideous. No teen in their right mind would want to be seen with that. Those are easily decided. If I feel I still need that book, I look for a version with a better cover. I wish I had taken pictures, but mostly if the cover had the 90’s feel to it, it was gone. * The story and the cover are both outdated. Easy. * The book is falling apart. Easy. Members of my Teen Advisory Group (TAG) are lovingly called minions. While it started as a joke I called my core group long before TAG got started, I decided to make it mean something when TAG officially began. 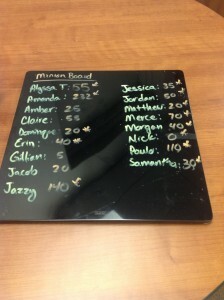 The point reward system encourages them to get involved in the teen department beyond TAG and quieted the fights over who claimed the title of â€œtop minionâ€. I do assign other points for special projects as well. For example, this summer I had the teens help me create the Summer Reading Promo Video; each minion that was involved earned 20 points. I’ve also given points here are there for teens that have helped me clean up, decorate the department, or some other small job I’ve needed done. The Roadtripping Librarian: On the Way Home… and Some Unexpected Help from My Mother! This leg of the trip was less structured than the beginning. We’re staying with family (my brother in Ohio) and friends (my friend Katie in Kansas) and my wonderful second family in Rochester, the parents of Maggie Levine, one of the children’s librarians at the main branch of the Boston Public Library. 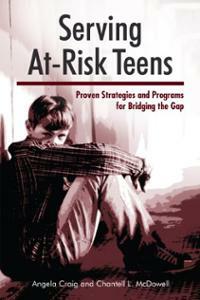 As a Teen Library Services Specialist in an urban library branch, I’m always on the look-out for resources on serving at-risk teens.’ Recently one of my own coworkers here at the Charlotte Mecklenburg Library, Teen Services Manager Angela Craig, published Serving At-Risk Teens: Proven Strategies and Programs for Bridging the Gap with Chantell L. McDowell. I sat down with Angela Craig and asked her a few ‘ questions about her book and her work with at-risk teens. MH: Tell me just a little bit about yourself and your background working with at-risk teens both in and out of the library.’ I understand you have also served teens through the YMCA and as a camp counselor.